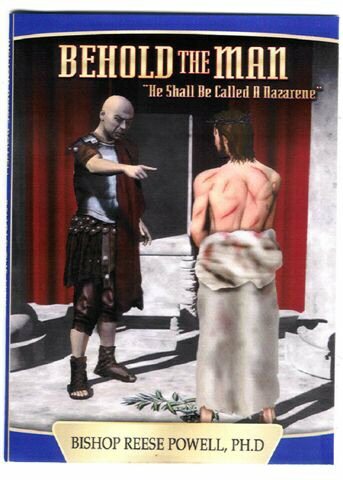 Behold the Man is a powerful DVD seminar about discovering our Hebrew Lord, the Historical Jesus of Nazareth. In this groundbreaking seminar you will learn about Jesus in His Jewish World of the first century. Behold the Man is a cornerstone teaching seminar that will give believers a solid foundation on which to build their faith. Learn how a Prophetic and Hebraic perspective sheds important new light on the Gospels as Dr. Reese Powell PHD clarifies the saying Behold The Man. Your gift donation for only $30.00 S/H included. 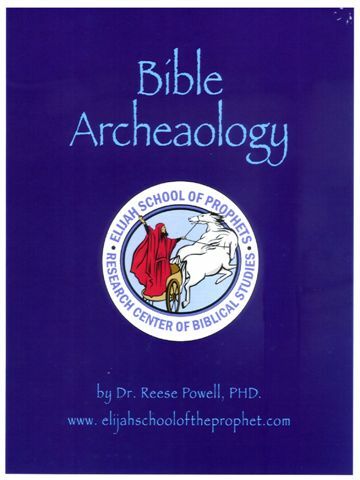 Bible Archaeology: Dr. Reese Powell PHD has studied Biblical Archaeology at the Jerusalem University, while at the same time working with archaeologist and scholars digging and excavating at various sites throughout Israel and Jordan. He has taught Biblical Archaeology for the past eight years at conferences, bible colleges and Seminaries. Dr. Powell takes the reader of this book on a journey around archaeological remains of the Ancient Near East beginning with Genesis origins of the world, then a review of Bible History. The cost for this colorful pictured paperback handbook is only $30.00 S/H included. Biblical Hebrew Grammar I: Dr. Reese Powell PHD has written this grammar for those who wish to study Hebrew for the purpose of doing exegetical research in the Hebrew Bible. He has also kept in mind that many who study the language for this purpose may have an abbreviated course of study. Therefore Dr. Powell has included the basic grammatical syntactical, and textual discussions that will help the person who may have only a brief introduction to the subject. For those wishing to do more advanced studies, the general material included in this work should provide a good introduction to the advanced works. The cost of this paperback handbook is $30.00 S/H included. 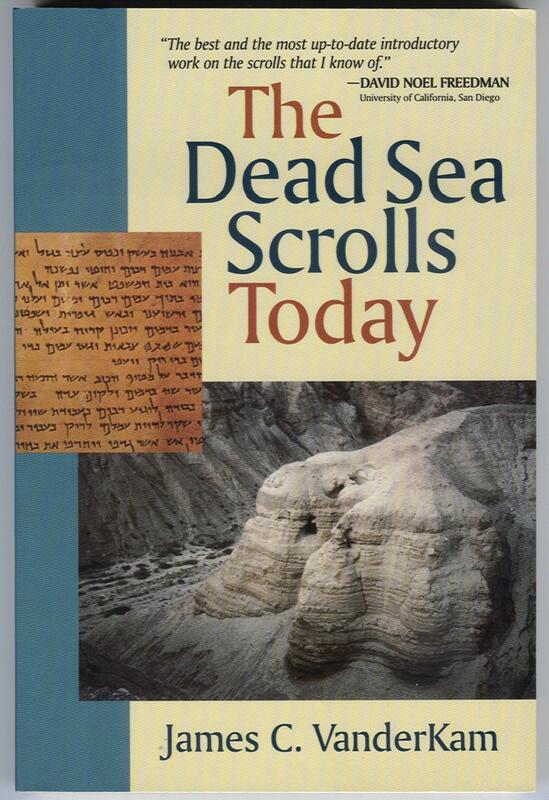 Dead Sea Scrolls Today: James Vanderkam has succeeded in summarizing very lucidly the complicated story of the Dead Sea Scrolls and their discovery, nature, chronology, literary character, and background. This book fulfills a serious need for a detailed, balanced, informed, and sober account of the archaeology, contents, background, and controversies of the Dead Sea Scrolls; with an especially fine presentation of their importance for the biblical text. The cost for this paperback book is only $20.00 S/H included. The Elijah School of the Prophet Research Center of Biblical Studies deeply appreciates all charitable donations which are tax deductible. Your charitable giving of a minimum of $10 will help us in the continuance of this www.elijahschooloftheprophet.com website, blessing millions of viewers and secured logon members in their maturing in Christian Education and Near Eastern Studies globally. We will send you newsletters of research. B sure to send us your e-mail address. Eternal Flame Numerology of Redemption, it involves the amazing discoveries of bible codes in the Old & New Testaments that is just hitting the book shelves in book stores. This book also helps a beginner learn of Hebrew from a biblical perspective and better exegesis the scriptures. Dr. Reese Powell delves deeply into the mystery of the Prayer Shawl know has the Tallit. In this book he provides conncetions of the commandments of the Tzizith (fringes) as well as the healing power of God that is within the Tallit. This book provides insights into the connection between passion, clothes, self-control and the story of the serpent. In order to become a secured login member just click on the Members tab at the bottom of the main page, then click on new member. Then complete the New Member Enrollment and create your own username an password before paying through paypal. Then complete the method of payment either in the new member enrollement page or the tab for books at the bottom of the main page and go to Become a Secure Login Member. Our minimal donation fee for secure online members is only an annual fee of $60.00 per year. Once your payment has been verified your account will become activated within 24hrs. 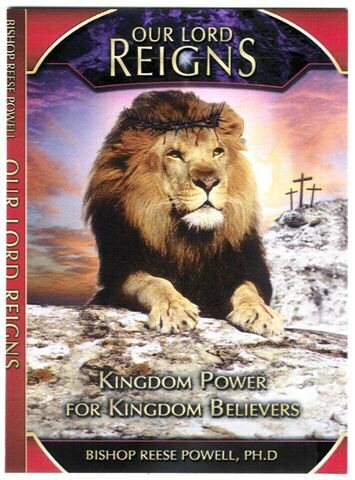 Our Lord Reigns is Kingdom Power for Kingdom Believers. Find answers to the questions, What is the Kingdom of God? Where is the Kingdom? What is the difference between the Kingdom of God and Kingdom of heaven? By examining relevant gospel passages in their Hebraic context Dr. Powell will clarify what Jesus meant when he spoke of the Kingdom of God and the Kingdom of Heaven. Dr. Powell also reveals the wisdom in Hebraic Kingdom Parables. If you are a Christian Educator who loves New Testament Studies; this is an ideal study book for you. Only $20.00 S/H included. 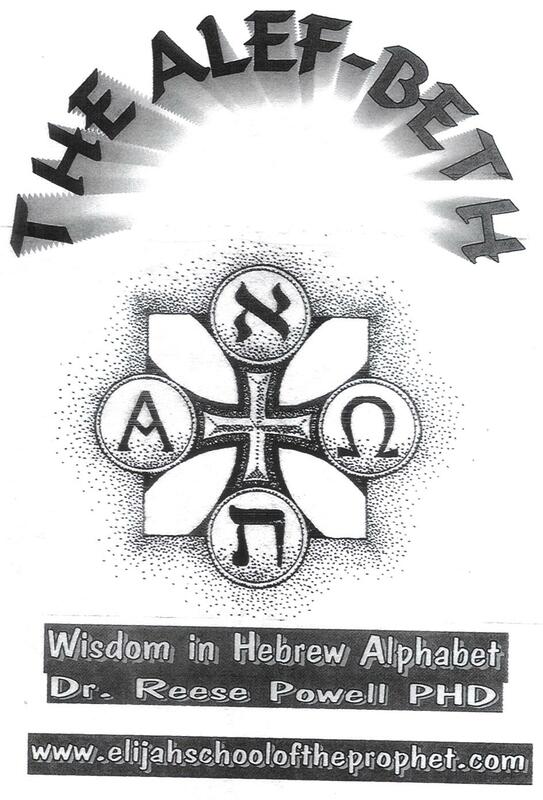 The Alef-Beth (Wisdom in Hebrew Alphabet): Dr. Reese Powell PHD teaches the Hebrew Alphabet through the acrostic poem that is hidden within Psalm 119. This book reveals that each of Psalm 119 twenty-two stanzas represents one Hebrew letter. Each stanza has eight verses; the twenty-two stanzas follow the order of the Hebrew Alphabet such as Alef (a), Beth (b), Gimel (G) etc. The interpretation given in each Hebrew letter is drawn from the traditional Hebrew interpretation of the letter, from the stanza of Psalm 119. This is an ideal book for the beginner Hebrew learner. The cost for this paperback book is only $20.00 S/H included. 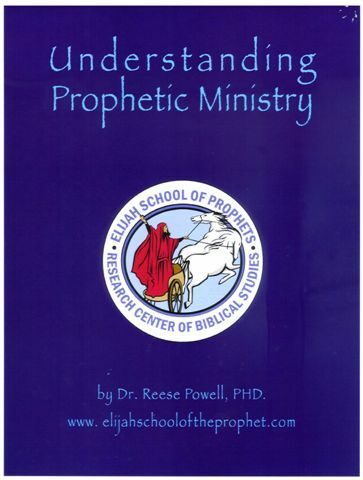 Understanding Prophetic Ministry: Dr. Reese Powell PHD was ordained to the Office of Prophet at Family Bible Seminary, Baltimore, Md, in November 1995 after complication of Prophetic Ministry and Advanced Prophetic Ministry courses at Christian International Ministries in Santa Roso Beach, Florida. He has taught and functioned in the ministry of Prophet for over 15 years through his ROOT (Radical Operation On Trainees) CAMP process. This book reveals his training methods for maturing saints to become church leaders by avoiding demonic pitfalls so they can have maturity and purity in their ministry. This handbook only cost $20.00 S/H included. 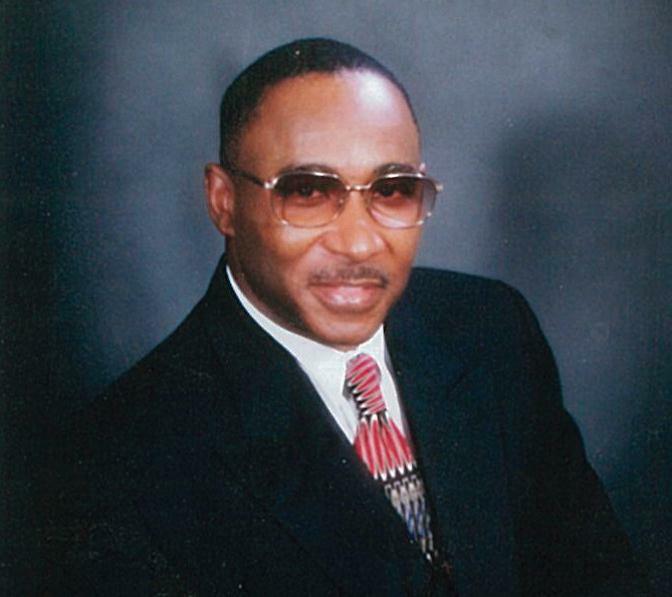 Dr. Ron Mosely focuses on the teaching of Torah and the Five Books of Moses by tapping into truths that greatly help modern-day members of the community of faith.